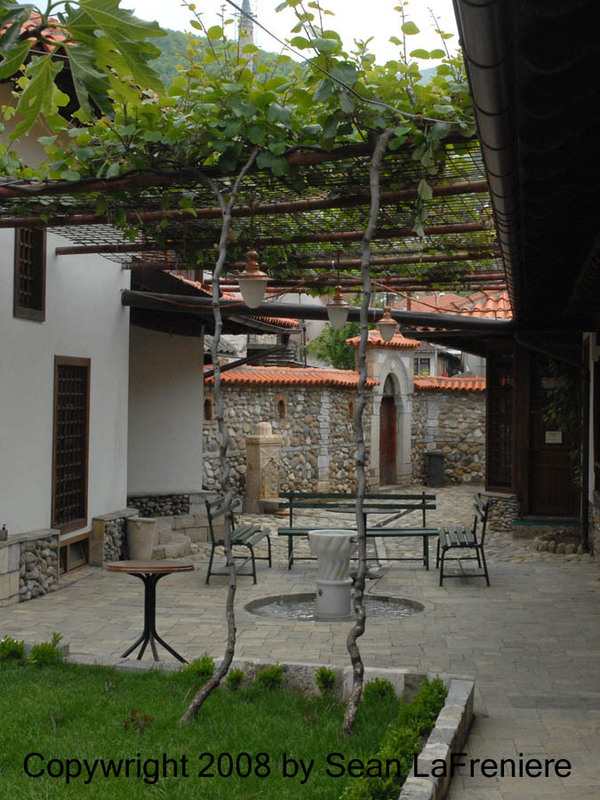 There is a Sufi meeting house or “tekke” in Prizren, Kosovo. It is an unassuming place with out a minaret or anyone standing guard over protocol. One simply passes in through an open gateway and into a small courtyard with a fountain. There are a few buildings or rooms around the courtyard and a raised platform under a covered porch. There is a small room with windows and inside sit several coffins draped in white shrouds. It is very quiet and peaceful. I walked over to the sound of running water and saw this fountain. Two snakes wrapped around two staffs, two crossed swords, and a twelve sided top stone with a wrought iron Arabic script detail on top. I enjoyed my moment of peace and passed out to the street again. All religious places should be so low key and beautiful. 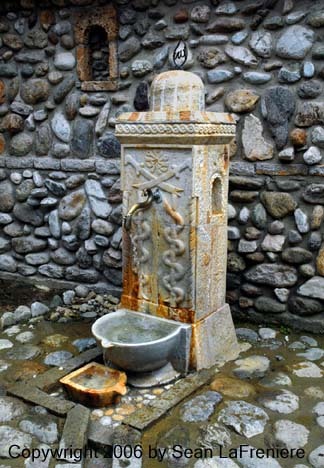 The ablution fountain. Both are circa 1691. The Halveti order are also known as Whirling Dervishes and originated in Afghanistan and spread to the Balkans with the Ottoman Empire.